The Canadian Association of Petroleum Producers sponsored Energy IQ, "an energy education resource" distributed for free online and to 13,000 classroom teachers in public schools across Canada by Canadian Geographic magazine's educational wing. CAPP and Canadian Geographic say that the content of these lessons is independently created by Canadian Geographic, who maintain "full editorial control." Documents obtained by CANADALAND seem to tell a different story. The email in question appears to be sent from Canadian Geographic's "custom publishing editor" Michela Rosano in July of 2013 to a summer intern, Jimmy Thomson. 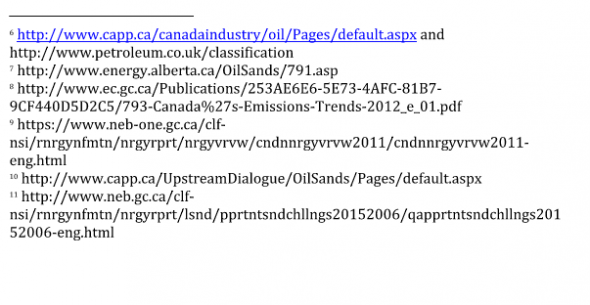 When teenagers at a Vancouver high school demanded in a November 2013 open letter/petition that the Canadian Association of Petroleum Producers stop spreading oil sands “propaganda” to their school in the form of free lesson content, CAPP was adamant: they did no such thing. Yes, they acknowledged sponsoring Energy IQ, “an energy education resource” distributed for free online and to 13,000 classroom teachers in public schools across Canada. CAPP’s involvement was clearly labelled. 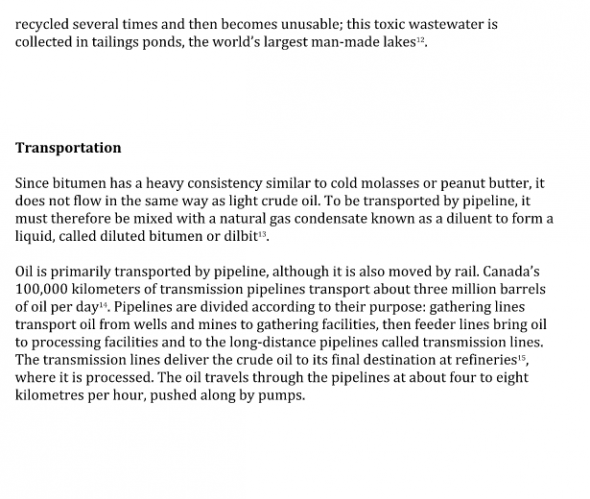 But CAPP spokesperson Geraldine Anderson told the Vancouver Sun that the oil sands lobby group “had no control over content or development of lesson plans.” She directed questions about the educational material to the people who, she said, created it – CAPP’s partners at Canadian Geographic. Documents obtained by CANADALAND seem to tell a different story. The email in question appears to be sent from Canadian Geographic’s “custom publishing editor” Michela Rosano in July of 2013 to a summer intern, Jimmy Thomson. 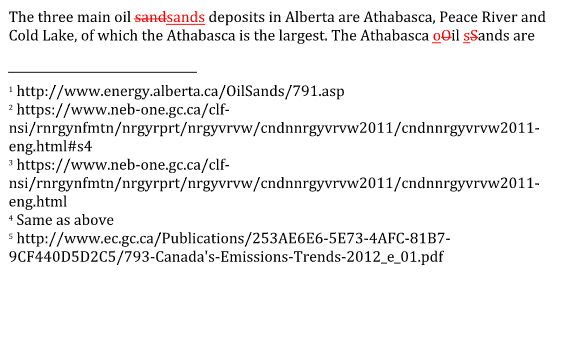 Attached to the email are four Word documents, containing Thomson’s drafts of articles for EnergyIQ’s “Energy Mix Library” on four subjects: coal, crude oil, natural gas, and oil sands. The text in each is marked up in red with some words added and others struck out. The changes are attributed in the Word documents to “Rodrigues, St…”. A search of the terms “Stephen Rodrigues + CAPP” turns up a research manager by that name employed by CAPP. 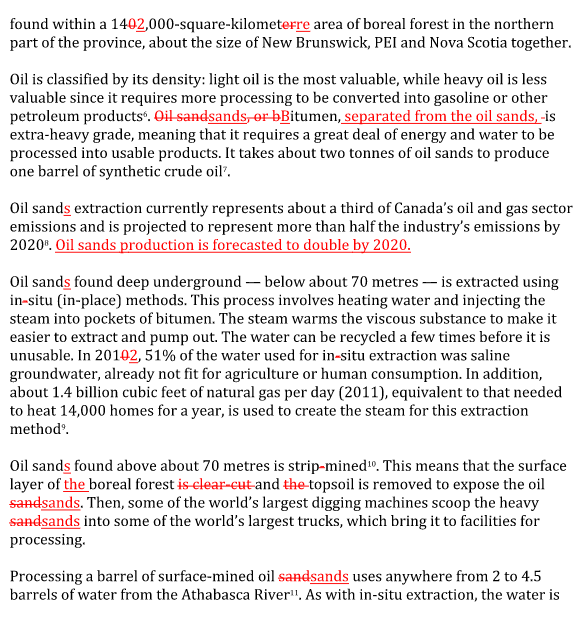 Rodrigues also removed the term “clear-cut” from Thomson’s explanation of how boreal forest is unearthed to make way for oil sands strip mining. That CAPP was allowed to vet Canadian Geographic’s educational content challenges the claim of independence and objectivity, and raises questions: is the rest of Energy IQ also edited by CAPP? What about Canadian Geographic’s other sponsored educational programs? “The whole thing makes me sad,” says Jimmy Thomson, the former Canadian Geographic intern who is publicly credited with writing the lessons. Thomson tells CANADALAND that during his internship he mostly wrote for the magazine and blog, but did take on this one task for CG Education, the magazine’s educational wing. Thomson’s not the only former Canadian Geographic contributor to take a dim view of the educational products, which were offered to corporate sponsors on a menu of possible options. According to CG Education’s website, it offers lesson plans, quizzes, giant floor maps and online games for free to thousands of “member teachers” who use these materials to instruct students in elementary, middle, and secondary schools across the country. Some of the keenest sponsors of these educational products, according to Morantz, have been oil companies. “[The] energy industry certainly took advantage of the educational offerings,” he says. “The corporate partners really liked the classroom stuff, the lesson plans,” recalls another former editorial employee. UPDATE: CAPP Canadian Geographic has posted a statement in response to our coverage. UPDATE: CAPP has responded, calling the changes they made to lessons a “fact-check,” and denying that they had control of the content. 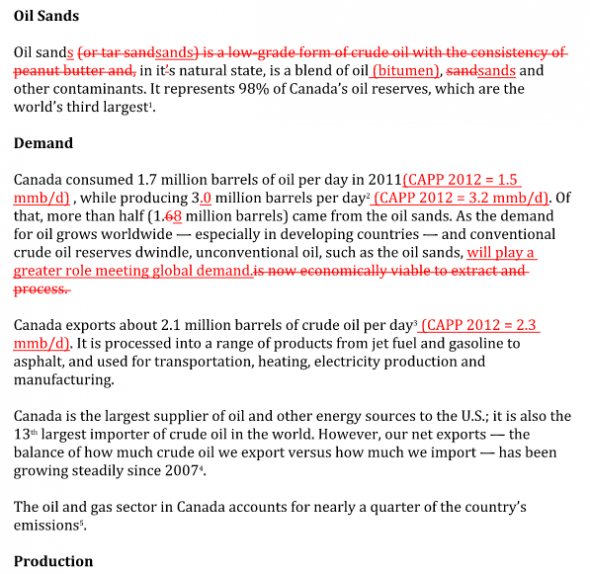 As described above, CAPP’s changes to Canadian Geographic’s oil sands lesson involved the removal of factual information. CANADALAND presents the full lesson at the very bottom of this post. ANSWER: I am a pipeline.